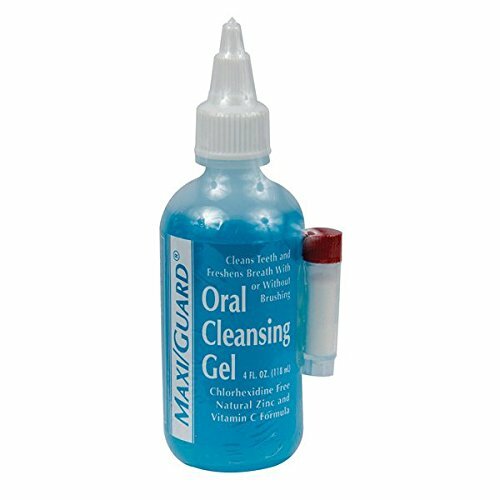 Promotes oral health and helps eliminate bad breath by attacking the cause-bacterial by-products in the mouth. Taste free. Cleanses and freshens, without brushing. Before using the formula, pour attached vial contents into gel. After ascorbic acid has dropped to bottom of gel shake until dissolved. Refrigerate between uses. A blue or green color denotes freshness. Directions: Gently squeeze a small amount onto outside of the back upper molar teeth and gums. Use daily for best results. Dog or cat.